Increase Your Castle’s Power Faster! 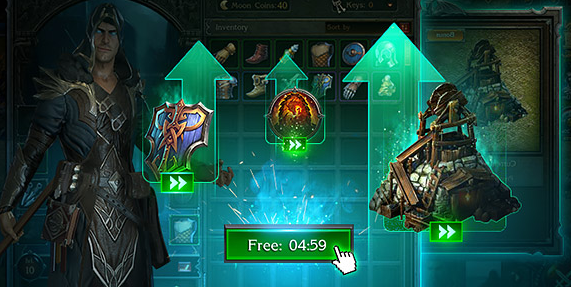 The Elders of Stormfall are delighted to declare the release of a brand new feature that shall revolutionize the development of your Castle – Free Boosts! Whenever one of the processes above has less than 5 minutes remaining, you shall be able to complete the rest of that process INSTANTLY for FREE! To instantly finish any of the given processes, pay attention to the timer that tells you how long that process has left to run. If the process has less than 5 minutes remaining, the button next to the progress bar shall read “Free”. Clicking on this shall complete the process instantly, allowing you to move onto your next project. Take advantage of this fantastic opportunity to make your Castle the most formidable in the land!